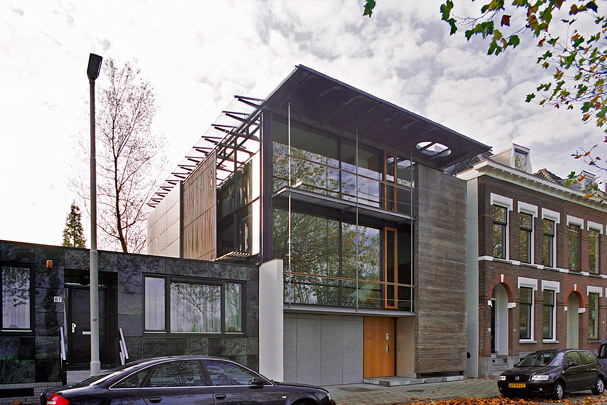 Built for two of the architects of Mecanoo, this house is configured much like the nearby Van der Leeuw House, with a design studio on the ground floor, the living room on the first floor with a generous view of the lake (Kralingse Plas) and bedrooms and library on the second floor. Its architecture draws on the more elegant modernism of the past (Eames, Aalto) and has a many-layered, open spatial composition. It runs the gamut of materials most of which are left in their untreated 'natural' state.